Here are a few highlights we are looking forward to. As always, this is a formidable and very comprehensive lineup that has something for every taste and fan. There are country acts, rock acts, folk acts, legendary acts and new acts. Sometimes back to back. The list below is far from comprehensive, it just includes many of the sets we won’t be missing and felt were particularly notable. 8:00PM–Gary P. Nunn–T-Bird’s--The venerable singer/songwriter kicks things off for 2015 with his road-tested and proven old school Texas country jams. If you’re starting your LJT experience on Monday and going the entire week, God Bless you. This is the first time we can recall music starting on Monday! There’s a party comin’ on for sure. 8:00PM–Delbert McClinton–Bud Light Stage–The legendary Texas blues howler takes to the mainstage for a set that will take place after his son Clay and prior to a set from Casey Donahew Band. Our money is on the veteran Delbert laying it down like nobody else can. He’s still got it…the Lone Star Blues and the goods. 2:00–Cody Canada and Mike McClure–Allsups Stage–This is where things start to get greasy. This classic Red Dirt pair’s annual acoustic shows under the small tent back in LJT’s relative infancy were always a true highlight. It’s very cool to see them doing it once again. Get there for this one. There will be songs, stories, surprises and more. 5:00-Midnight–Turnpike Troubadours, Jason Boland & The Stragglers, Hayes Carll, Cody Johnson, Adam Hood and Dolly Shine–Bud Light Stage--Dolly Shine kicks off an evening that is back to back heavy hitters. This may be the best line-up for one night that LJT has ever concocted and it has something for every one and every taste. Our longtime favorite Adam Hood makes his LJT debut on the big stage and will be followed by the modern day Chris Le Doux–Cody Johnson with his energetic stage show. Then comes the wiseacre Hayes Carll and his sneakily rowdy stage act. As if that weren’t enough your evening will be capped off by back to back appearances from Turnpike and Boland. If you’re still standing at the end of this, you’ve done something wrong. 2:00–Zane Williams–Allsups Stage–Zane’s star continues to rise on the strength of smart songwriting that reminds us of Radney Foster’s style. Zane’s been out at the LJT campfires for a couple years and it’s cool to see him get such a good slot in the lineup. 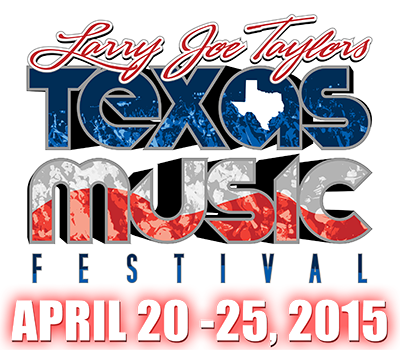 4:00–Shinyribs–Allsups Stage--Last year’s Greenfest headliner heads to LJT for the second time. Kevin Russell played LJT’s mainstage a few years back with The Gourds. However, the closest LJT has seen to what Mr. Ribs is going to deliver is Josh Weather’s legendary performance of “Shout” back in 2013. Buckle up and bring your dancing shoes. 5:00–Ray Wylie Hubbard–Allsups Stage--Following Shinyribs you will be treated to another old dog teaching new tricks as RWH lays down the grittiest, grooviest groove this side of Mississippi Fred McDowell’s ghost. You’re sure to hear some of those badass rockin’ new songs and your old favorites. 9:00–Wade Bowen and Randy Rogers Band–Bud Light Stage–Nobody will be holding their beer when this combo hits the mainstage back to back. This will be the HMBWT release week and we’re pretty sure these two bands have some tricks up their sleeves and possibly some collaborations we’ve never heard before. Shenanigans shall ensue and memories will be made. 3:00PM–Walt Wilkins–Allsups Stage--The good Rev. Wilkins starts the weekend portion of the fest off in the way only he and his Mystiqueros can. Laid back, soulful and powerful. He’s followed by Max Stalling and Radney Foster. A trio of good music to park your lawnchair for. 5:00PM–Prophets and Outlaws–Bud Light Stage--Last year’s buzz of the Allsups stage graduates to the big one to show everybody what they’ve got. Buzz continues to build around this DFW rootsy soul outfit and with good reason. See why here. They will be followed by Bart Crow who should be fresh off his GW private performance prior to lighting up the big crowd. 8:00–Williarm Clark Green–Bud Light Stage–A couple years back, WCG was rising and was just about the most buzzed about name you can imagine when he dropped his Rose Queen album at LJT. Two years later and he’s officially a big dog as he will be fresh off the release of Ringling Road and jamming after dark at LJT. His band’s twin guitar attack now has them as one of the most versatile and tight in the scene. 1:00–Dalton Domino–Allsups Stage–Domino won the LJT songwriting competition last year and is on the cusp of bigger things here in 2015. He’s got an official spot on the line-up this year and something to prove. We’ll be there to see him do just that. 6:00–Sam Riggs and the Night People–Bud Light Stage--Of all the guys and gals we saw last year roaming the campfire jams, the most impressive was Sam Riggs. Excited to see the energy he and his people bring to the big stage at LJT on the final night. 7:30PM–Charlie Robison–Bud Light Stage–Fresh off his spot-on existence rant, Robison takes center stage as LJT winds down. It will be like Billy Graham at a Baptist revival. And he’s to be followed by Creager and the gallons of flying beer that accompany his LJT set. LJT 2015 finishing off with a bang. of course like your web-site however you have to take a look at the spelling on quite a few of your posts. A number of them are rife with spelling problems and I find it very bothersome to tell the reality however I will surely come back again.